Getting children’s books for free is quite easy in the modern era, and learning to read is a fundamental component of growth. Books can have a transformative effect on both adults and children. In fact, in a recently-issued statement, the American Academy of Pediatrics recommends that parents start reading aloud to their children from the time they are born. Reading is quite possibly the most vital habit that should be instilled in any child, as it is a capability that they will keep for the rest of their lives. Not only will it stimulate their imagination (think Harry Potter or Charlie and the Chocolate Factory), but reading is a pre-requisite in any school, university or job. People read all the time, in practically every profession, especially computer-related roles which are increasing. The ability to comprehend material as well as read quickly can often translate into earning potential and a more profound appreciation of life. Literary is a crucial component of career success in general. But it is also often identified as a core cause of wealth divide. Advanced societies are marked by high literacy rates. This is why many third world charities focus on improving literacy rates for people in these areas. Once literate, they will they have a choice as to what material they read and learn. But the key to literacy is to foster a love of reading. Another benefit of reading is that it can increase creativity levels and boost the innovation, inspiration, and imagination of the child. 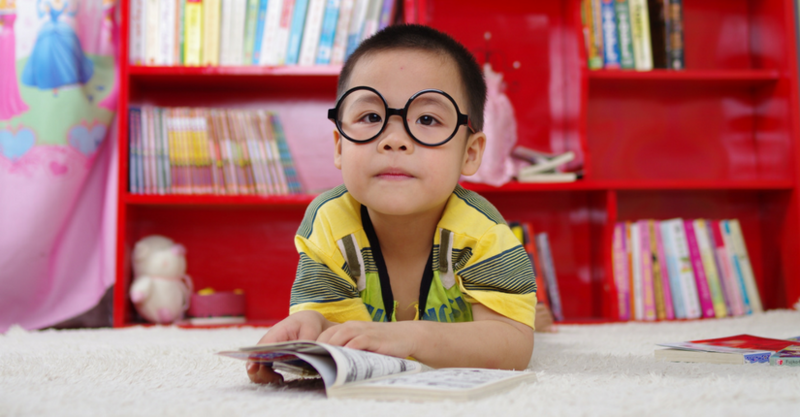 The benefits of learning to read at an early age cannot be understated. On the other hand, many books are not cheap. And if it does turn into an obsession, which is something of a good thing in this context, then it will only get more expensive (think of the entire collection of Darren Shan). With this in mind, we have compiled a list of the best ways to get kids books for free, both online and physically. We are now in an age where most books and music files are publicly available on the internet without copyright, which is a wonderful advance. While not quite a groundbreaking revelation, the library is quite often the best place to get children’s books for free. Typically, every member of a family will have a maximum number of books which can be loaned out, for a period of about a week before renewal. Sometimes libraries can contain older types of children books which can be difficult to acquire, such as TinTin or Asterix and Obelix. These items are now collectibles. Some books can have restrictions in terms of how long they are loaned out, and always remember to bring the books back on time. You should take your child down to the library, so they can choose for themselves what books they would like to take. Many libraries will even let you keep some books permanently if they are being recycled. OverDrive is a free lending service where people can borrow ebooks or audiobooks for free, through either a school or library. All that is required is a public library card or else a student ID. Each OverDrive collection can vary because the libraries and schools can customize the content that is made available for lending. In many ways it is just like a library has gone digital, but with a much larger variety of content available where you can get children’s books for free. One of the benefits of OverDrive is its compatibility with all devices. This includes Android, IOS, Windows 8, Windows 10, Chromebook or Kindle Fire. Whatever device your child is using to read books, OverDrive is most likely compatible. With a collection of over 2 million digital titles, OverDrive is a premium location to get free online children’s books. Click here to download OverDrive now. It is 100% free. There is an online library located at FreeKidsBooks.org which serves as an online repository for children’s’ books specifically. The book categories are divided into toddlers, children, old children and young adults. It is the ideal repository for free online children’s books. Anna’s Extraordinary Experiments with Weather – Biography for children (6 to 9 years old). This is possibly one of the best places to get children’s books for free of all online repositories. Toddler books have lots of pictures with few words, children’s books will have a few pictures with more words, and books for young adults will not have many pictures if any. Free Kids Books is a growing library of unique children’s books and literary resources available online and for download in a user friendly pdf format. We aim to provide easy access to great free children’s books and resources, for the enjoyment of reading and writing, and to promote improved literacy standards, and thus improved lives. Over 57,000 eBook downloads are available from Project Gutenberg, a wonderful site for free children’s books online. These books include Through the Looking Glass by Lewis Carroll, Peter Pan by JM Barrie, and The Wonderful Wizard of Oz by Frank Baum. The books are mostly geared towards older children but there are a number of books that could be suitable for children aged 7-12. The copyright of most books held within the Project Gutenberg database has expired, meaning that the books are free for all to use. This is also a great site for adults who are looking for some of the best all-time classics from Charles Dickens, Mark Twain, and Jonathan Swift. This is not exactly a free mode of acquiring children’s books since Amazon’s Kindle Unlimited (click here for a 30-day FREE trial) currently runs at $9.99 per month. But this is about the price of one physical book. If you already have a Kindle Unlimited Account, you can use it on a number of different devices. So you and your child could both use Kindle Unlimited on an iPad, computer, smartphone or Kindle reader. Click here to get a 30-day FREE trial to Amazon’s Kindle Unlimited program. It is exceptional value for money and new books are being added all the time, with an amazing range of books to read from all categories and genres. For $9.99 you can read as much as you want. You can also purchase used books on Amazon for drastically reduced prices in many instances, which may be a bargain for Amazon Prime users due to the free shipping. Nearly all families have a supply of books. But children tend to grow up quickly, and once they read a book, it is on to the next adventure. So in all probability, there is a wealth of children’s books that are sitting idle in houses all over your community. It could be a good idea to simply reach out and ask people to donate children’s books if they have any lying around. Many families whose kids have grown up would be eager to donate their literary possessions, which are now perceived as junk. Unlike adult books, children’s books tend to have very narrow age groupings of about 4 years each. Imagination Library was launched in 1995 by Dolly Parton in an effort to give free books to children in her home county. She set out to foster a love of reading in preschool children in instances where the families might not have been able to afford the books. One of the benefits of the 21st century is that we have access to such files for free, while in the past books were prohibitively expensive for many. But for those who want to gift their children with physical books, which have their advantages, then Imagination Library is the perfect choice. It is possible to register a child with the program online and get children’s books for free at a local distribution center or else directly. Today, the organization sends over one million books per month to children across the globe. Kids from 1st to 6th grade have the ability to earn a free book from the Barnes & Noble Summer Reading Program. The kids have to answer a number of questions about their favorite book, and must choose 8 books to read during the summer. This sort of challenge can also help children develop their writing skills as well as their creativity, which are two talents that should be fostered in tandem with reading. After the form has been filled out, it is to be brought to the nearest Barnes and Noble store between May and September to earn a free book from a select list. This method of acquiring children’s books for free might not be as easy or comprehensive as simply signing up to OverDrive, going to the library, or downloading a book from Project Gutenberg. But it will encourage the literacy and creative faculties of the child, which are excellent traits to foster. Book banks are a great way to get children’s books for free. Libraries, families, and large organizations donate books to the banks and other people can pick them up. Many libraries and government departments have too many books which they need to offload for various reasons. As useful as book banks are, they are only located in certain places, typically larger urban centers. Books banks are located in Baltimore, Philadelphia, Portland, Chicago, and San Francisco. Book banks are similar to book exchanges, where people who donate a book get to take one in return. Book exchanges are more common, and you can search online for local book exchanges, where you only pay the cost of postage. Another alternative is book swapping, where you list the books that you are willing to send to somebody and mail it when it is requested. BookMooch is currently the biggest book swapping site in the USA. Many people grew up in an era of physical books. And they grew very fond of the experience of turning the pages of a real book that was held in the hand. There is something more ” real” about the reading experience when the book is actually physically held. However, the world is changing, and electronic books have a number of advantages. The fact is that physical books are going the way of the dinosaur. They are far worse for the environment, not just in terms of trees cut down for printing. But also in terms of physical distribution, as books have to be carried and transported. The benefits of having 2 million PDF books in one online repository are immense. People can simply browse from their device and select what kind of book they wish to read. We are witnessing a plethora of accessible information which is helping to bridge the gap between privileged and underclass. Electronic books are cheaper, easier, and better for the environment, by a large margin. It also means a higher quality of books as people can self-publish their books online without going down the traditional publishing route, a very difficult and laborious path. A good compromise could be to have a selection of high quality, timeless, physical books stored on a shelf with a larger variety of online books for reading on a site such as freekidsbooks.org. Harry Potter – For children, the Philosophers Stone, the Chamber of Secrets and the Prisoner of Azkaban are suitable. Beyond this lies the young adult category. Roald Dahl – Books include the Big Friendly Giant, Mathilda, Fantastic Mr. Fox, James and the Giant Peach, The Witches, and, of course, Charlie and the Chocolate Factory. The Chronicles of Narnia– There are seven titles in this epic series. These include the Lion, the Witch and the Wardrobe, Prince Caspian, and the Horse and his Boy. Reading is certainly an attribute that should be cultivated in all children at as early an age as possible. It will help them become literate, stoke the fires of their imagination and cultivate the cauldron of their creativity. Thankfully, there are a number of resources, online and offline, where it is possible to attain children’s books for free. Let us know in the comments your favorite places to get free children’s books, and sign up below is you’d like more tips like this!